Fence repair does not have to be expensive if you maintain your fence properly and always use the most cost efficient and effective methods. 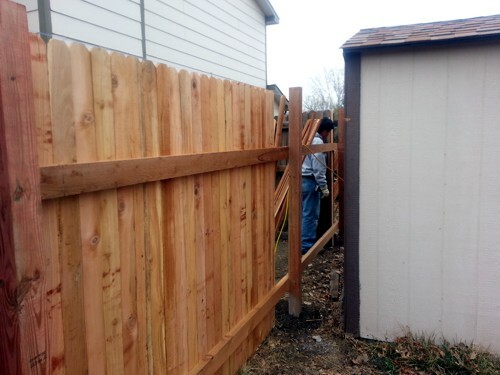 Here are some tips for reducing the cost of your fence repairs. O’Leary and Sons are an affordable solution for your fencing needs. Their professionals are licensed to repair fences, build quality decks, repair siding, etc. Leave your exteriors in their capable hands. When purchasing any tools you will need, look for quality. If something is extremely cheap because it is of lesser quality, then you may want to take into account that you may be making the repair again sooner than you would want to, which would add more costs in the long run. However, you can compare prices between stores and buy from the one with a cheaper price. It requires a bit of research and shopping around, but it can help you save a bit of money. Staining and painting your fence are very important in maintaining it and keeping damage from occurring. The stain or paint keeps the wood from rotting, which would result in parts of the fence needing to be replaced. This could be costly depending on how bad the rot ends up being. It is important to check your fence for any damage on a regular basis. Catching the damage as quickly as possible will prevent it from getting worse. The smaller the damage is, the easier it is to fix, and it is often cheaper as well. If any damage is not noticed, then it has time to get worse, and it may be expensive to fix by the time it is caught. Sometimes, if damage is left unchecked, repairing a fence may be impossible, and it will have to be replaced entirely. A wrought iron fence that has been left to rust will eventually have no option but to be replaced, for instance. There are a number of ways to lessen the cost of maintaining your fence. The important thing is to prevent damage from occurring in the first place and search for the best deal when you are required to make a repair. OLeary and Sons is a team of capable professionals fence installation colorado springs that carry out beautiful work. Call today to schedule an appointment!